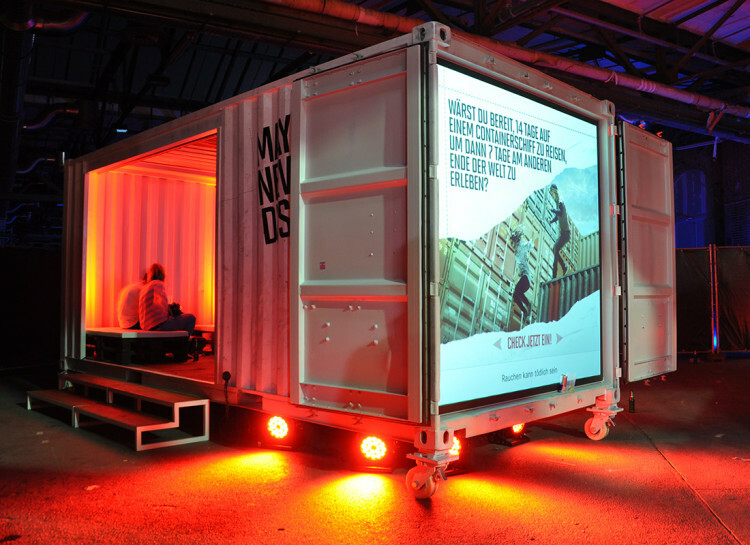 The Munich-based event agency Avantgarde asked us to prepare a plan for the event series „Do not be a Maybe“ for the customer Marlboro. In the cities of Hamburg, Berlin, Cologne, Frankfurt (Main), Stuttgart and Munich, major events were organized with many well known bands and DJs for up to 2000 guests. During these events ship passages on container ships were raffled as main prizes, so the container building design fitted in very well.